Meghan Dougherty is a roller derby-playing wife and mom and owner of a small PR agency. Since 2007, Meghan has been entertained and inspired by her roller derby sisters who are some of the smartest, most independent and funniest women she knows. Alece has been drawing girls her whole life. From her fine art to her commercial illustrations (found on products across the country) Alece has been inspired by the diversity and complexity of the feminine form and spirit. Friends for more than 20 years, Meghan and Alece share a free spirit and entrepreneurial quest for adventure. 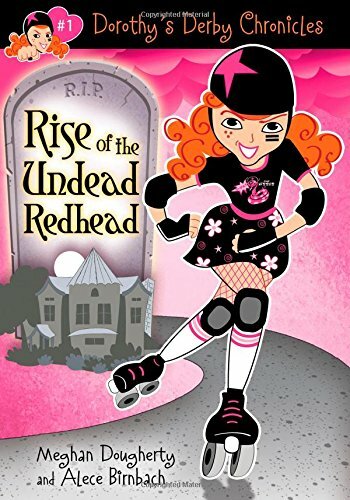 Together they hatched a genius plan to combine Alece's gift of capturing the essence of sassy girl power with Meghan's roller derby story and adventures, to create a book series for girls. 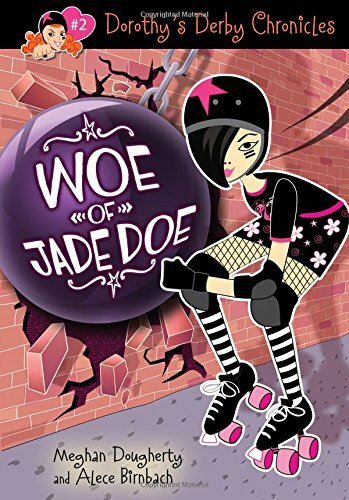 All to give tween girls a taste of the fun, fierceness, friendship, empowerment, and positive body image that the sport of roller derby brings to women from 6 to 60. Karen is a valedictorian graduate from the Rocky Mountain College of Art and Design and Illustrator Coordinator for the Rocky Mountain Chapter of the Society of Children’s Book Writers and Illustrators (RMC-SCBWI). She has spent the last ten years writing and illustrating children’s books, as well as teaching illustration and working as a graphic designer and painter. Although she is a total klutz on skates, Karen has a black belt in TaeKwon-Do, and understands the rewards of pushing one’s physical limits… as well as the inherent beauty of a grapefruit-sized bruise. She lives in Colorado with her writer husband, Steve, and two sons, Finley and Max.